Transition is considered by many, the fourth discipline in Triathlon. With successful Transition skills you can shave a few vital minutes off your race time. As the race season approaches we will incorporate transition training in our swim or brick sessions. Know the specific rules for the race. Follow the routine you have practiced in training. Some people put the helmet on the handlebars as in our example, but others put them on the ground. A lot depends upon the set up of your bike and whether the helmet can be rested safely around the handlebars. If you wear sunglasses you can have them attached to the helmet for fitting later, somewhere on your bike, or you can have them on the ground in your ‘kit area’. 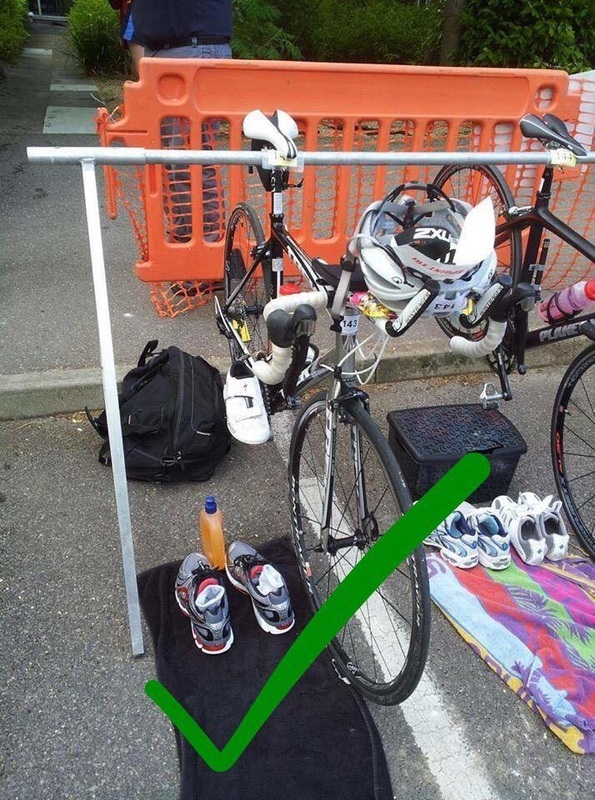 When you put your bike in transition make sure it is in a gear that is suitable for getting under way in. It is not unusual seeing people leaving the bike in the last gear used, getting on and realizing it is in the hardest gear and they have to grind away, or, just as bad, the complete opposite. Some people put a small towel down, to dry the soles of their feet. Run shoes/socks can be laid out and ready to put on. Elastic laces are a must for quick transitions. Stand up and unzip the back pretty soon after the swim. Remove hat and goggles in one go. Strip the wetsuit down to your waist – leaving your hat and goggles in the arm of the wetsuit. 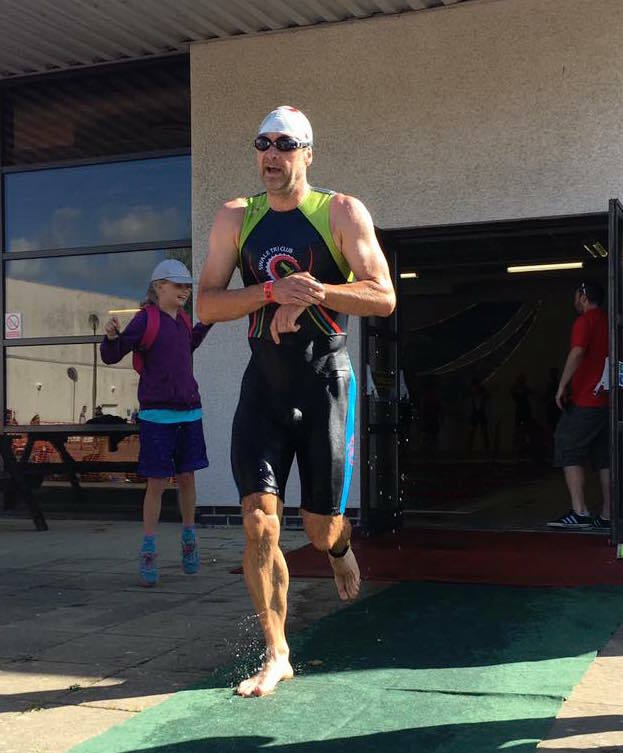 Run quickly but controlled to the point where you are required/allowed to remove your wetsuit. 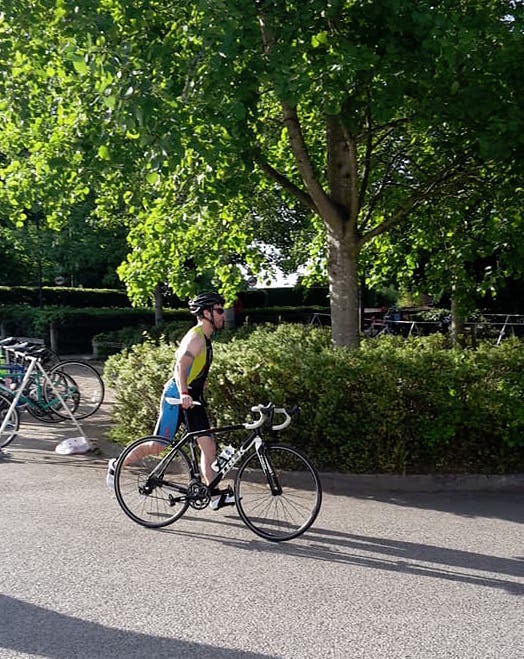 Having run to your bike and removed your wetsuit, put it where appropriate, but out of the way of the kit you will be using in the rest of the race. Number belt - sometimes you are allowed to swim with it on, sometimes you need to put it on in T1. It always needs to be on your back on the bike. 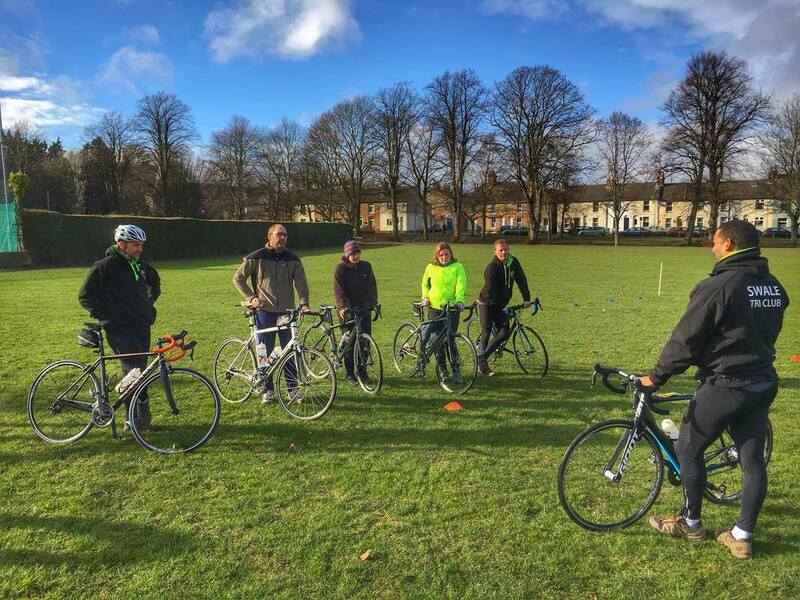 Running with your bike – if the surface is good it is best to run with the bike holding the saddle, and lean the bike to steer it. If it is rough surface you can still use this method if confident of your control, but you may want to hold the handlebars.The disadvantage to this is that you cannot run very easily as the handlebars get in the way. All you need to do is to run and finish with a big smile! Happy racing and hope these tips can help you to faster transitions and smoother race.